Digital Technology had been implimented into Microscopy too. Old Analog cameras are now replaced with Digital cameras with high Megapixel resolution, USB camera had become a necessary tool for microphotography. With the ease of plug and play cameras for microscopes its now very easy to capture images from microscope, do measurements, print and many more options with Image Analysis Softwares. Digital Bilogical Compound Microscopes are like any other Microscopes, but they have builtin camera with high resolution and the image can directly can be seen on the LCD display. The image can be transferred to computer direcly. 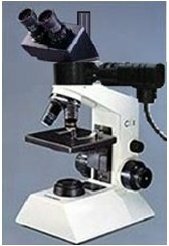 These microscopes are used for Tele Pathology applications also. We are the authorized supplier of Digital USB Camera for Microscopes based in Kolkata, West Bengal, India. These USB Camera thats builtin with the microscope give a high quality image that can be saved and transmitted via Email. For further query Please send us your request. Digital Stereo Microscopes are used for study of large objects with Three Dimension perception, The image is clear and have depth perception, Used mainly in Metallurgical sample observatins, Zoology departments, Botany departments, GEM testing, and many more. 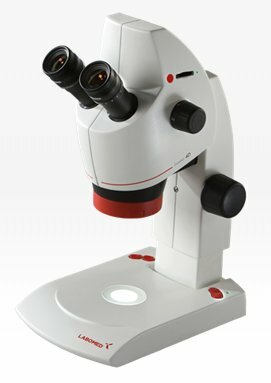 These microscope have application in low magnification like 5x to 300x. The Images captured can be directly transfered to computer and can be used for further analysis, measumements and printing reports. One can directly observe the live image on computer screen or Video monitor. 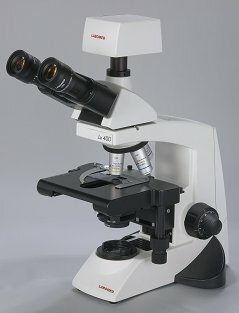 Metallurgical Microscope for Metal surface analysis , Measurement of Grain size, Capturing Images for report making, etc. Focusing System: Coaxial Coarse & Fine focusing based on a 4 stage gear reduction system traveling on ball bearing guides. Power supply : 230VAC, 50Hz.